With temperatures in the Las Vegas Valley expected to stay just below record highs for the next few days, Clark County is offering kids a way to beat the heat that might even be good for their brains. With temperatures in the Las Vegas Valley expected to stay just below record highs through the rest of the week, the library district is offering kids a way to beat the heat that might even be good for their brains. The Las Vegas-Clark County Library District has summer programs available for children up to 17 years old, said Shana Harrington, youth services manager. Many families already use libraries as refuges for kids when temperatures climb beyond safe levels for outdoor play, with some youngsters showing up “pretty much when they open (usually 10 a.m.) and they stay until their parents get off work,” Harrington said. The next few days will meet the too-hot-to-play threshold. 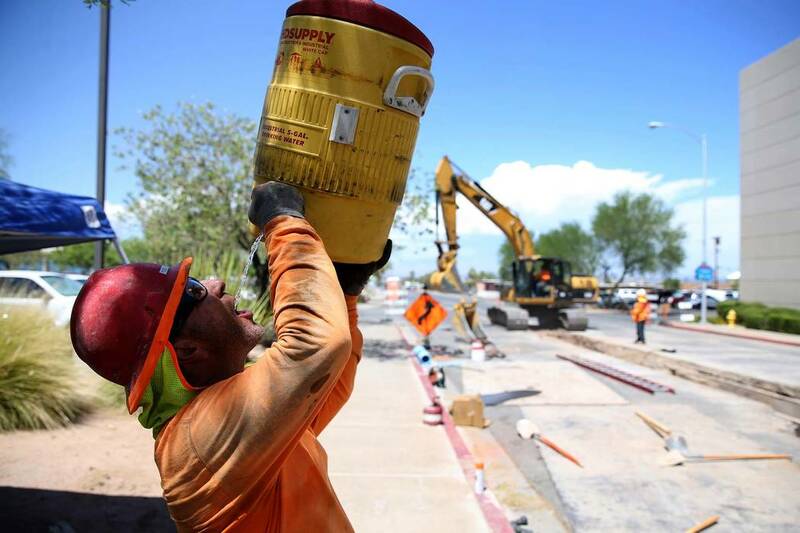 An excessive-heat warning issued by the National Weather Service on Tuesday will continue at least through Friday, with highs in Las Vegas forecast near 113 on Thursday and 112 on Friday. Wednesday’s high reached 115 degrees, which tied the valley’s daily record set in 1942. The daily record for Thursday and Friday is 116. Overnight lows also will be close to records. Wednesday’s morning low was 89 degrees, just 1 degree short of the record for highest minimum temperature for the day, the weather service said. Not only are the air-conditioned interiors of the libraries cool, but so are many of their offerings. Grammy Award-winning hip-hop children’s artist Secret Agent 23 Skidoo will perform through Saturday at Clark County Library, Windmill Library, West Charleston Library, West Las Vegas Library and Whitney Library. For times and details on that and other programs, visit the library district’s website at lvccld.org or call 702 734-7323. Libraries also offer summer tutoring and a program that awards prizes to kids for reading, Harrington said. The county has set up cooling stations for those who have to be outside, including the homeless. Catholic Charities of Southern Nevada operates a shelter for homeless men, 1501 Las Vegas Boulevard North, near downtown. By late Wednesday morning, the shelter and an overflow area were nearing capacity, said Catholic Charities spokeswoman Leslie Carmine. She said people can donate if they want to help those in shelters fight the heat. “Bottled water is always welcome,” she said. The Las Vegas Rescue Mission is also asking for bottled water donations at its shelter, 480 W. Bonanza Road, according to a release. The Shade Tree, 1 W. Owens Ave., offers shelter for homeless women and children from 11 a.m. to 7 p.m. It can accommodate up to 25 women and children, Executive Director Stacey Lockhart said in an email. Lockhart said the shelter has been about half full on average this summer and was not at capacity Wednesday afternoon. Ambulance crews usually are busier during the summer, but there hasn’t been an unusual increase in calls this season, said Damon Schilling, a spokesman for American Medical Response and MedicWest. 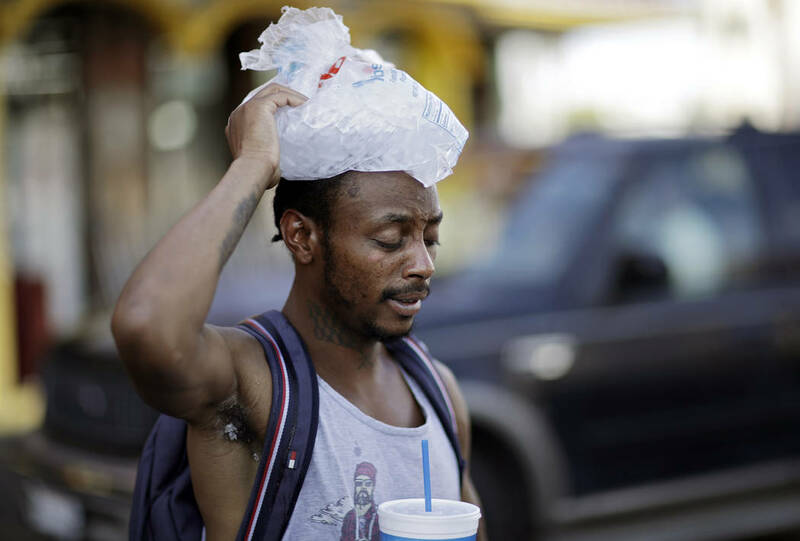 He said tourists are most likely to have a heat-related emergency because they’re not used to the extreme heat, adding that they often don’t realize they’re becoming dehydrated until it’s too late. Contact Katelyn Newberg at knewberg@reviewjournal.com or 702-383-0240. Follow @k_newberg on Twitter. Review-Journal staff writers Max Michor and Mike Shoro contributed to this report.